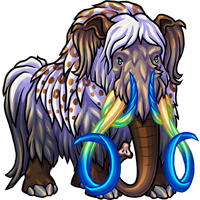 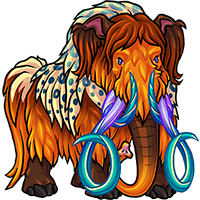 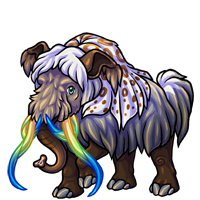 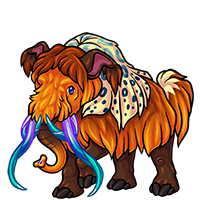 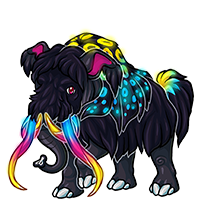 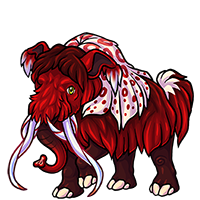 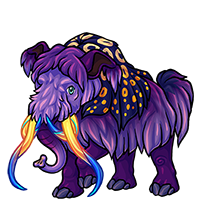 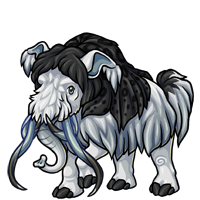 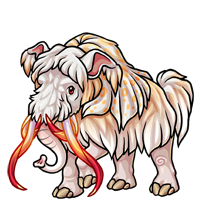 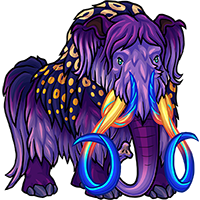 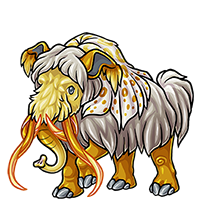 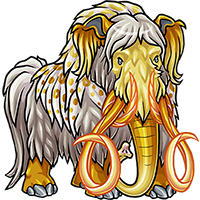 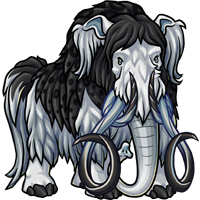 The Eleodon Creatu was discovered during an environmental research expedition in the Frozen Vale after an avalanche made the deepest part of the Ice Caves accessible. 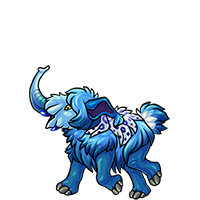 Due to the secluded and dangerous nature of this area, few are fortunate enough to have an Eleodon as a companion. 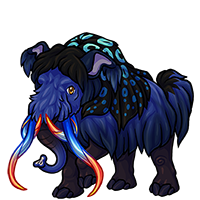 Eleodon have been observed so little in the wild that their natural diets are unknown. However, they are presumed to be herbivores as they refuse to eat any meat provided for them. Despite this, they can be quite aggressive, especially when there is a perceived threat to any young or otherwise weak member of the group. 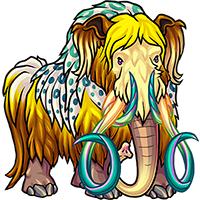 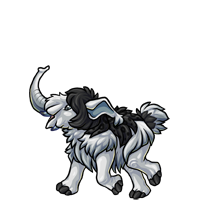 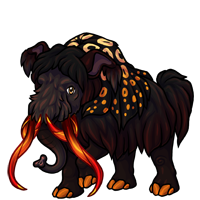 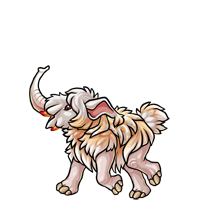 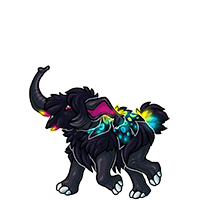 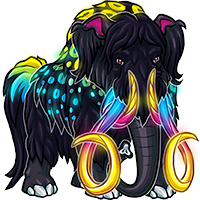 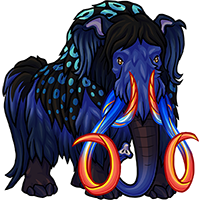 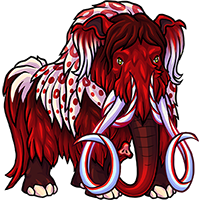 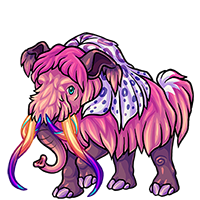 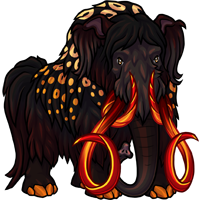 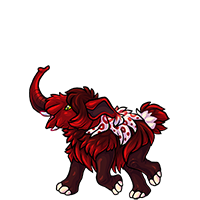 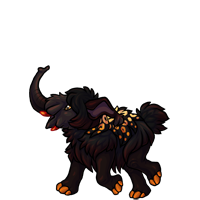 Eleodon are generally passive and docile until angered or threatened, when they become one of the deadliest Creatu, armed with immense strength. 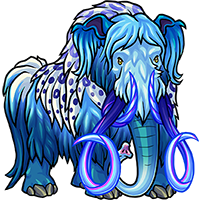 After the discovery of the Eleodon, Creatologists began making connections between ancient unidentified fossils at the bottom of Atquati's bodies of water and bones found deep within the Ice Caves. 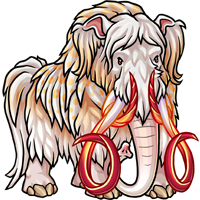 The leading theory suggests that, like the Divuin that was discovered only days before, the Eleodon once lived on the surface of Atquati, when a much lower percentage of the planet was covered by water. 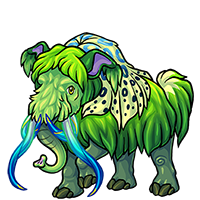 As the sea level began to rise, the Eleodon migrated into the Caves, where they would never again see the light of day until their discovery. It remains a mystery how the Eleodon survived, but it is believed that they entered a mystical state of stasis much like the Divuin. 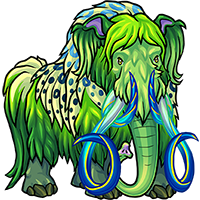 Eleodon are unique in their clear belief that the entirety of the species is considered a member of a single herd, or "parade." 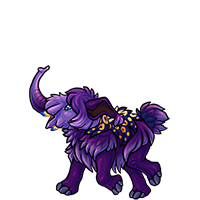 They can be raised and owned by humans, but an Eleodon will never have as strong a sense of loyalty to a human as it will to another member of its species. Once an individual reaches maturity, it seems to have all of the wisdom of the eldest member of the parade from an unspoken psychic connection--as impossible as it seems, there is no evidence to suggest any alternative.